It's time for a Bonus Video Podcast! This week, EB and Mike provide "DVD Commentary" while watching on-ride videos of two of Europe's most interesting roller coasters... "Hochschaubahn" at Wiener Prater in Vienna, Austria and "Hullámvasút" at Vidámpark in Budapest, Hungary. Denise sent us these pictures from the "New Fantasyland" construction at Walt Disney World in Florida! 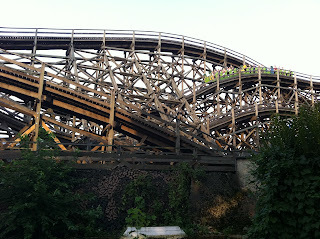 CoasterRadio.com #545 - Video Podcast - Wiener Prater! Last week, we ended our Fifth Season of Coaster Radio with a live broadcast from one of the most unique amusement parks on the planet, Wiener Prater in Vienna Austria. But admittedly, radio can only do so much when you're describing the amazing roller coasters, thrill rides and other interesting attractions at this one of a kind park. So, EB and Mike have produced a brand new video podcast (the first in five years!) to show you exactly what it's like at the Prater! In a few weeks, the guys will return with a second video podcast about some of Europe's greatest roller coasters. AND...don't forget that Season Six begins on Thursday, October 6th! We can't unveil what will happen yet, but it will easily be one of the most talked about episodes EVER! 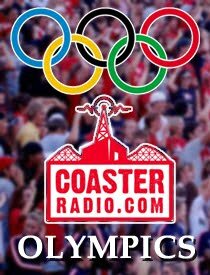 CoasterRadio.com #544 - Live From Wiener Prater! 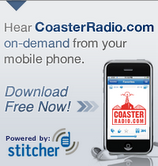 We've reached the end of another season of Coaster Radio! Wiener Prater in Vienna, Austria! The Prater was once an imperial hunting ground and only accessible by the aristocracy, But then, Austrian Emperor Josef II donated the area to the Viennese in 1766 as a public leisure center. 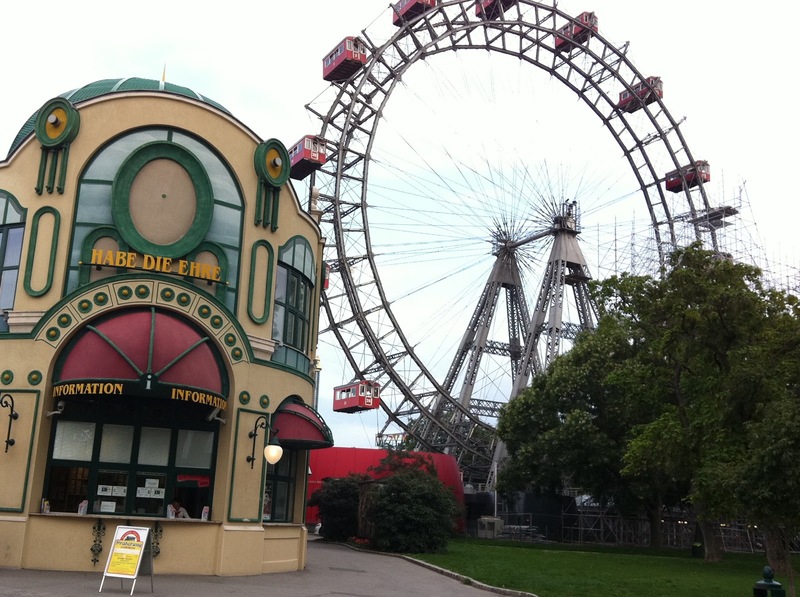 Since then, it has gone on to become the place where the people of Vienna gather to relax and unwind with food, drink and wild rides. That's right! In recent years, it has become home to some of the most outrageous and intensely thrilling attractions in Europe! Join Mike and EB and they talk about some of the Prater's most iconic attractions - the roller coasters, Ghost Houses, water rides and gravity defying flat rides. There might even be some on-ride audio from one of the oldest attractions in the park! They'll also talk about how The Prater is run much differently than your average amusement park and how it's full of attractions not seen many other places. Be sure to come back next week for the premiere of a video podcast showing off all of the rides that the guys discussed on this week's show! 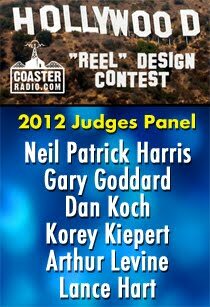 Thanks to everyone who has made this season of CoasterRadio.com the most successful ever! We can't wait for Season Six to begin in October! 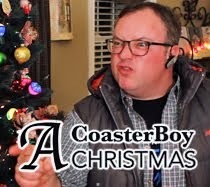 CoasterRadio.com #543 - I Hope the Brakeman Isn't Drunk! Labor Day Weekend is here and the parks are starting to wind down from the Summer Season. But the Original Theme Park Podcast is still going strong with an all new episode! This week, we welcome back an old friend to the show! Did Greg K. survive the Florida heat, multiple Teacup Rides and the long wait to meet Mickey Mouse? And more importantly, will he let loose with his trademark catch-phrase? 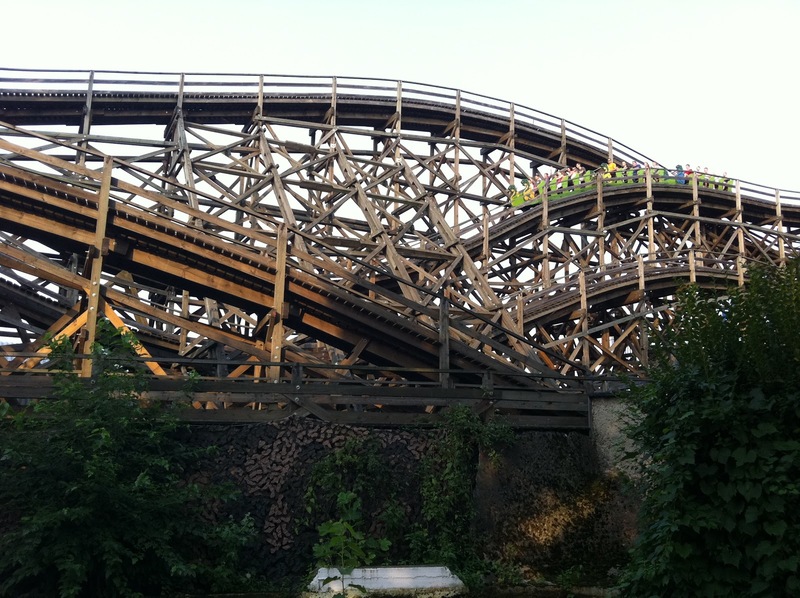 Then, Mike recalls his trip to Hungary and his visit to Vidampark - the country's one and only amusement park. 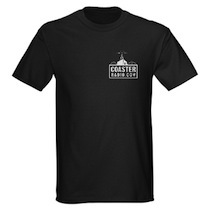 What was it like riding their 90-year old coaster with a surly brakeman in charge of keeping the ride on the tracks? Mike and EB also take a look at some of the most recent ride announcements made by the parks. Which 2012 attractions look like hits and which ones look like misses? 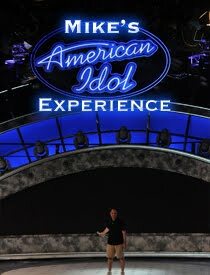 Will we see any record breaking attractions? Will we see more upcharge animatronic dinosaurs? Plus a Live Trip Report from Canada's Wonderland and MUCH MORE!